Healthcare providers of today are facing operational challenges unlike any they have encountered before as sweeping healthcare reform initiatives are bringing forth a myriad of new obstacles. Providers are now forced to develop new methods by which they can ensure cost efficiency while also providing the highest possible levels of quality care. Performance-based payments are rendering previous systems of monitoring patient safety and satisfaction along with financial performance obsolete. In order for medical providers and facilities to best serve their patients, meet the new standards being set before them, and simultaneously maximize profit they must set clear goals with measurable results. Furthermore, these goals must be monitored and addressed as more than individual units. The impact one may have on the next must be not only acknowledged but anticipated and actively prepared for. For example, it is illogical to think that facilities could reduce negative patient outcomes by simply retaining more skilled, educated healthcare professionals such as RNs, while relying less on Patient Care Associates (PCAs) and the like. This would raise operating costs to an unrealistic level. Instead, a balance of labor must be created to keep care at the highest possible standard while also keeping staffing budgets in check. Aligning hospitals, physicians, and other clinical providers across the continuum of care – This strategy, perhaps more than any other, focuses on the need for more patient-centric care. Strong relationships across multidisciplinary teams will equate to higher standards of medicine and better patient outcomes. Developing the necessary connections for such an environment to exist is no longer optional. Utilizing evidence-based practices to improve quality and patient safety –Reimbursement for hospitals now relies heavily on “high-quality outcomes.” Keeping factors such as patient readmissions and mortality rates at a minimum is critical for success. Patient safety protocol and standards of care should be based on informed and relevant data, with appropriate measures to be taken when problem areas are identified. Improving efficiency through productivity and financial management – Understanding the true cost of care for any healthcare facility has never been more important. The new, value-based model will require that organizations emphasize cost efficiency from every angle while also ensuring superior patient care. Achieving both is no simple feat and will necessitate a very delicate balance, especially with concern to the types of labor used. Developing integrated information systems – All the data in the world will be of no use without an efficient way to retrieve and analyze it. Within the system(s) used, it is imperative that facilities have the ability to review financial, clinical, patient satisfaction, and demographic data and to use that data to promote more effective operations. Finding a means by which to provide the upmost standards of patient care while simultaneously keeping costs low is a problem facing all healthcare providers in the new performance-based atmosphere. The solution to this problem may not be simple, but it is necessary. First, leaders must agree upon relevant metrics and how they will be obtained. 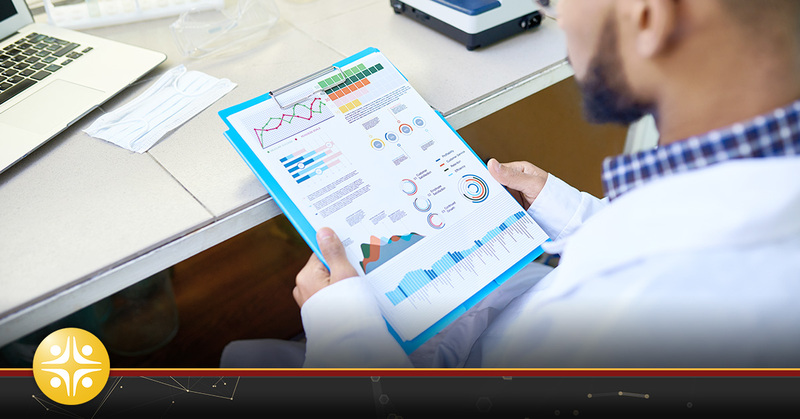 For most organizations, the most influential data will surround their clinical performance, cost of operation (including staffing), productivity and patient safety. Understanding this data and how each element impacts another will be critical to both profit and quality of care. Finally, there must be a plan of action based on the acquired information which is uniform across all departments. Each manager should understand the appropriate steps to take should they find their department to be out of compliance in any of the critical areas. Utilizing this approach will ensure that the root issues are addressed, rather than just the problematic symptoms. In the end, it will be facilities which focus on metrics-driven operations that will thrive in today’s performance-based healthcare industry.